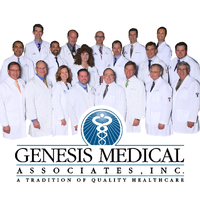 Genesis Medical Associates, Inc., one of the largest privately owned physicians group located in the North Hills, has several openings within the organization. Genesis Medical Associates is an Equal Opportunity Employer. We take pride in having established an independent medical practice that provides the highest quality care possible to our patients. We offer a comprehensive benefit package (full-time only), including PTO and 401(k) profit sharing. Interested candidates should submit a current resume with a cover letter via fax at 412-369-9566. Check-in/check-out patients, answer incoming phone calls and enter information into the electronic health record. Register patients into the electronic health record and verify demographic and insurance information. Schedule follow-up appointments and provides resources to patients. Answer phone notes as directed with patients. Obtain faxed data and routes appropriately. Candidate must have knowledge of an EHR system and experience with referrals in insurance prior authorizations. Welcomes patients by greeting them in person and then preparing patients for the health care visit by directing and/or accompanying them to the examining room. Verifies patient information by interviewing patient; taking vital signs; confirming purpose of visit or treatment. Entering all information in the Electronic Health Record. *(Candidate must have knowledge of an EHR system). Supports patient care delivery by helping health care providers; preparing laboratory specimens; performing basic laboratory tests on the premises; disposing of contaminated supplies; sterilizing medical instruments; drawing blood. Educates patients by providing information and instructions; answering questions. Performs Wellness visits and follows Quality protocols. The Medical Scribe is an individual who is present during the provider's performance of the clinical services and provides detailed documentation in the EHR system (on behalf of the provider) of all information pertaining to the services provided. Candidate must have knowledge of an EHR system. An understanding of medical terminology is preferred. Medical Assistance are welcome to apply. Candidates must be detail oriented, self-motivated with the willingness to learn and have excellent time management, organizational, verbal and written communication skills. Candidate must have office billing experience, with 3 years of prior medical billing experience. Posting daily charges, reviewing electronic medical records, coding, verifying, and approving claims. Reconciling payments, reviewing daily reports, and investigating billing rejections. Updating insurance registration /demographic information, and following up on delinquent patient balances.